It is my pleasure, as board member of the New York chapter of the American Marketing Association, to announce this year’s 2015 Marketing Hall of Fame Induction Ceremony (May 21, New York City). The Marketing Hall of Fame (marketinghalloffame.org) was established by the NYAMA to celebrate brilliance in marketing across all fields and disciplines. It is dedicated to recognizing exceptional individuals who have made outstanding contributions and are inspiring new generations of marketers. Join us for a part of marketing history at the 2015 Marketing Hall of Fame Induction Ceremony! The ceremony will begin with cocktails and hors d’oeuvres, followed by keynote presentations from each inductee. They will share insights from their extraordinary careers and offer their unique perspective on marketing’s past, present and future. REGISTER HERE Tickets will go fast; don’t miss this stellar event! I hope you can join us in New York on May 21st! 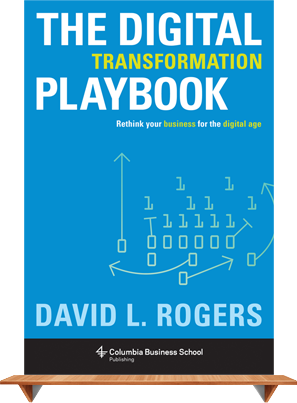 is a consultant, speaker, and author of "The Digital Transformation Playbook." He teaches digital strategy and marketing to executives at Columbia Business School, and he has advised numerous companies such as GE, Google, Toyota, IBM, Pernod Ricard, and Visa. Get all the latest updates sent to your inbox.